Monkfish is a name which is often used for an European sea monster or sea monk. It is also the English name for a number of types of anglerfish and angelshark. We have two types of monkfish available. The first one is the Lophius litulon and the second one is the Lophius piscatorius. We use the Lophius litulon for our delicious monkfish fillets. The Lophius litulon can be found in the Pacific Ocean, which is also known as FAO fishing area 67. You can also find them in the Sea of Japan and the Sea of Okhotsk. Since this is quite far away from the Netherlands we have to import our Lophius litulon from China. However, we know our suppliers personally and monitor the local production facilities, so we can ensure you that our monkfish is processed, packed and transported in perfectly hygienic conditions. When the monkfish is caught its head is immediately removed. The belly of the fish is also removed, since the only edible parts of the monkfish are its tail and its liver. Before it is brought to our company we also freeze the fish to keep its freshness. As a supplier we sell our monkfish fillets skinless, boneless and belly off. We also have monkfish tails available at our ‘North Sea Fish’-page. Monkfish have a whitish belly and a brown coloured back. They have an enormous spiny head, fang-like teeth and tiny eyes. Monkfish are definitely not known as the prettiest fish, but they are well-known for their delicious flavour. Monkfish have a mild and sweet flavour which is close to the taste of a lobster. Their texture is slightly chewy. Monkfish fillets only contain around 96 calories, depending on the way in which you prepare them. The fish is also a good source of protein and vitamin B, which is important for cellular metabolism. 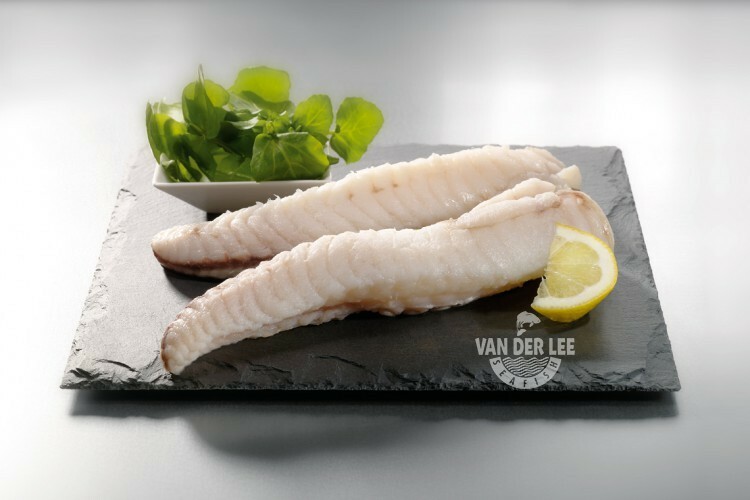 We mainly export our monkfish fillets to wholesalers in Spain, Italy, Germany and England. But nevertheless the fillets can be found in other countries too. Monkfish fillets can be prepared by roasting, steaming, grilling or making a stew. When you roast the monkfish you can prepare them with crushed potatoes, watercress and olive oil. Another way to eat monkfish fillets is to wrap them in speck or bacon. Wrapped monkfish fillets are said to be really tasty. You can also poach monkfish. Poaching is probably the healthiest way to cook the fish, since it does not contain the addition of fat. Monkfish fillets can also be served with lemon juice or a sauce. This will add even more flavour to your dish.